Friends, if you don’t have a cam and you Have a desire to do Cam 2 Cam chat or can say video chat, then you have no need to buy a web cam. Here I am going to tell you a way by which you can use your mobile as Cam Now. > Your mobile should be java based or Window mobile. You have to download the following 2 software…. 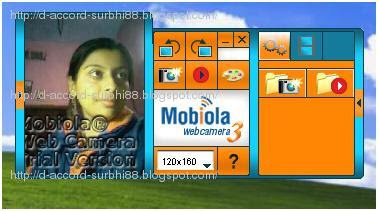 2)Webcam_ WinMobile- this is a cab file, and for installation in mobile. 1) 1. Ensure that your mobile has a active synchronization with your PC. 2) 2. 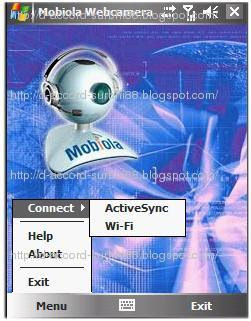 Once you install both the software then run Mobiola Web cam on PC and Webcam_ WinMobile on Mobile. 4) 4.If you are using this web cam for yahoo messenger then you have to go to messenger and then prefrences> webcam and change webcam source to mobiola. Same for the other messengers…. Transforms your mobile phone into a high-quality PC webcam. Connects mobile phone to PC using USB, WiFi (select models) and Bluetooth connectivity. BlackBerry Storm supported (USB connection). Wi-Fi support for BlackBerry phones. After installing this software and finishing all the given steps, if your mobile not works as cam then you have to download one more software named many cam to make your cam support to your pc. it's really a vry nice blog dear. Make sure that ur mobile fulfil the requirements above mentioned!!!! i have samsung corby s3653. please tell me that can i use it as a webcam?? its a cab file. so will it install in symbian nokia 5233. reply bud.